If you have been arrested in Colorado because of a positive reading on a breathalyzer, do not panic. Any defendant who was convicted of a DUI because of a breathalizer test has the right to challenge the accuracy of breath tests. Just because your reading on the breathalyzer was higher than the legal limit doesn’t mean you will automatically be convicted. Breathalyzers and other devices using breath to measure BAC can be extremely inaccurate, and your attorney can help you identify the weaknesses in the evidence against you. Read on to understand how a breathalyzer can be wrong and how to challenge the false evidence. There are two types of breathalyzers used by police officers to measure blood alcohol levels. The first is a breathalyzer that uses semiconductor sensors. The second is a breathalyzer that uses a platinum fuel cell. The former use Tin oxide to detect ketones, which are used to estimate the amount of alcohol in your breath. Ketones are a product of breathing, meaning the reading may account for more than just alcohol, making it less accurate than platinum fuel cell breathalyzers. Platinum fuel cell sensors are generally more accurate, although subject to error, as these use an electrochemical process which oxidizes a breath alcohol sample which then produces an electrical current that is interpreted and calculated into a BAC reading. The right procedure must be followed to get the correct readings. This means that the person conducting the test must know how to use the device and also guide you on how to blow into the machine the right way. The test should also be repeated at least three times to help check for the consistency of the results. If the officer didn’t follow these steps, the readings could be inaccurate. Some diseases may affect the accuracy of breathalyzer tests. Any disease that causes the patient to produce excess mucus can significantly raise the readings of a breathalyzer. Conditions that reduce lung capacity such as emphysema, asthma, and fibrosis may also produce incorrect results. Diabetes can also produce acetone in the breath which breathalyzers can interpret as alcohol, thus leading to a false positive reading. Other conditions that can unfavorably alter the results of a breath test include acid reflux and a high red blood cell ratio. Test results can also be altered by foreign substances that you may have been exposed to before the test. Mouthwash, lacquers, adhesives, paint, plastics and certain cleaning products can all show up as alcohol in the breathalyzer. As per the Fifth Amendment, it is up to the prosecutors to prove that the breathalyzer readings are accurate and reliable. Colorado drunk-driving law states that the defendant is entitled to produce evidence that reveals a disparity between the breathalyzer tests and the truth, which would rebut the accuracy and reliability of the evidence. If the evidence was not collected correctly, if the observations were not truthful or if there is no bond between the driver’s behavior and the test results, the evidence could be dismissed in favor of the defendant. 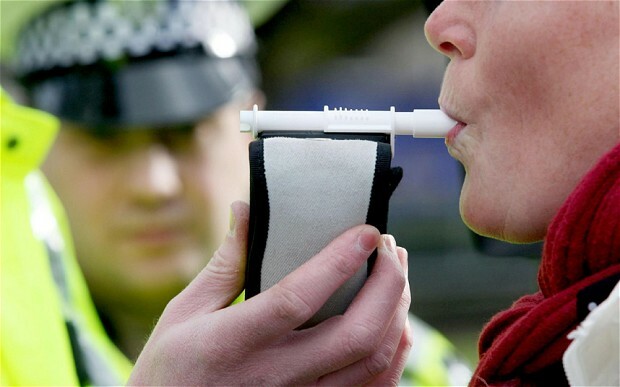 You should not plead guilty of driving under the influence just because your breath test readings suggest so. Breathalyzers are not unbeatable. A seasoned DUI attorney in Colorado can help you collect all the facts of your test and build a solid case to challenge the evidence. Previous PostPrevious What Is The Rule Of Law?